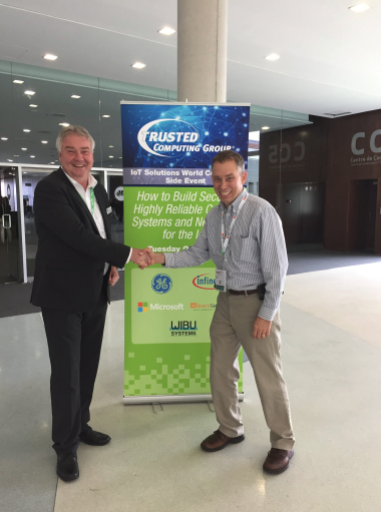 The IOT Solutions World Congress, co-organized in partnership with the Industrial Internet Consortium, expanded quickly to become the largest hub for new IoT technologies that are reshaping our world. With 250+ influential speakers and 100+ expert-led sessions, the IOTSWC is attracting key decision makers from around the globe. 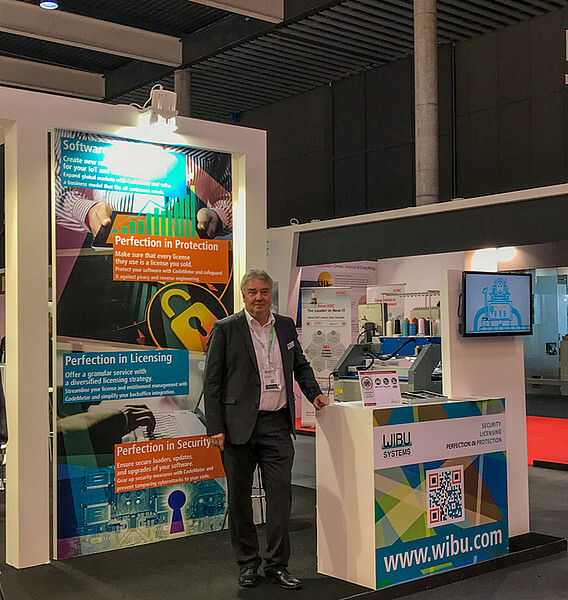 Several hundred pre-scheduled meetings through the brokerage service, ground-breaking testbeds, and the highly celebrated award program make the IOTSWC an exceptional event full of action and opportunities. On October 5th, 12.40 to 1.15 pm, in room 3, Oliver Winzenried will address how the IoT is changing the Healthcare landscape and offer his view on Price-Responsive Business Models for the Healthcare Industry. 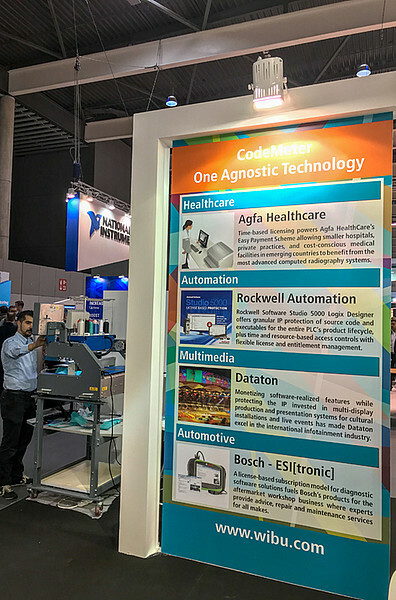 Integrating CodeMeter in Fritz Stephan’s emergency ventilator units EVE has facilitated the company’s expansion into new global markets. A scalable licensing model that enables the remote activation of features on-demand lowers upfront investments for customers and enables modular pricing. IP protection, the privacy and integrity of patient data, and secure and regular online updates of the device software safeguard the invested know-how. Challenges and Strategies in the Emerging IoT Ecosystem from a Business Point of View on October 4th, 1.00 to 1.35 pm, room 1. Hosted by Wael William Diab, Senior Director at Huawei, the conversation will concentrate on the convergence of IT and OT that is fueling the Industrial IoT revolution and that has created a tremendous opportunity for both new and existing players in this space. Nonetheless, these opportunities have come with their share of challenges; this panel will shed light on the lessons learned and strategies to address them from the technological and business perspectives alike. Securing Mandatory OTA Updates on October 5th, 11.55 am to 12.30 pm, room 4. With Stefania Boiocchi, Business Development Manager of Infineon Technologies, as their host, the panel of experts will take a time jump into the near future, to a time when your connected car receives regular software updates to fix newly discovered problems, patch cybersecurity vulnerabilities, improve performance, add new features like new algorithms to increase fuel economy, or update infotainment apps. In such a scenario, securing over-the-air updates sent to connected vehicles is of paramount importance. Showcasing the cooperation between members of the IIC and Plattform Industrie 4.0, such as Aicas, Belden, GlobalSign, Infineon, Intel, Kaspersky Lab, Microsoft, and Waterfall Security Solutions, this demonstration will have two main attractions, an embroidery machine from our customer ZSK and a pump jack from Schneider Electric. The goal is to hack in real time into the complex system mimicking a real-world, multi-vendor, cloud-based environment, and prove that the application of current security technologies can protect the intellectual property, production data, software, firmware, and secure communication from business and technology sabotage that may occur via tampering, counterfeiting, or reverse engineering. As value in the supply chain is being transferred from hardware to software, software protection is becoming the vital backbone of any mature cyber security strategy. In particular, hardware secure elements (like industrial grade dongles, memory cards, TPMs, or ASICs) in the target system offer a secure repository where encrypted code keys can be safely stored. By combining endpoint security with skillfully designed licensing models integrated with back office systems, new revenue streams are created for any software-powered business. In the new economy led by Industrie 4.0, the secure upgradability and updatability of system features and functionalities open the doors for a shorter time to market, adaptive process optimization, and global competitiveness. 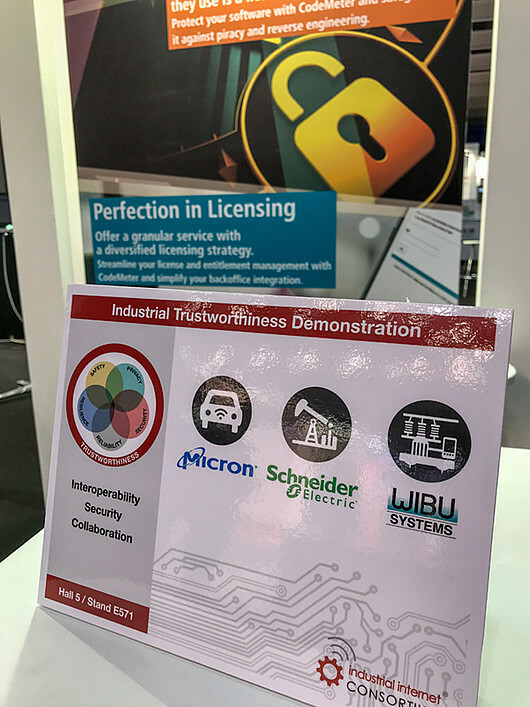 You can meet Oliver Winzenried and dive deeper into the discussion around secure license management as a business enabler for the IoT age at our booth inside the Industrial Internet Consortium member pavilion.